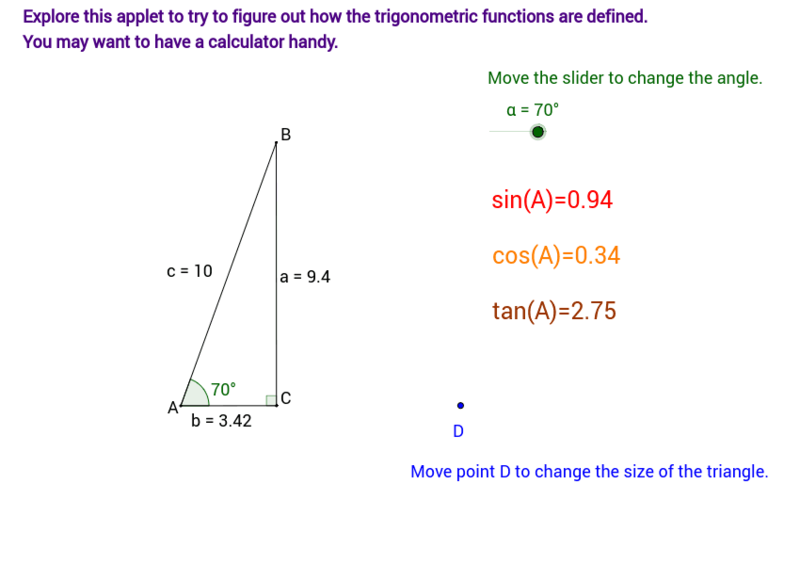 Use the slider and point D to figure out how sin(A), cos(A), and tan(A) are related to a, b, and c and to the size of the triangle. Record your observations in an organized table. Write out rules that you could use to find the sine, cosine, and tangent of any acute angle in a right triangle. Include a diagram.